1 What is Swap File? 3 Join Beta! Get a Gift Card! Swap file is a system file that will be created by operating system to paging RAM blocks to hard disk and it’s larger than RAM size usually. In Windows, we know it as “Virtual Memory” and swap space in Linux. In computer operating systems, paging is a memory management scheme by which a computer stores and retrieves data from secondary storage for use in main memory. 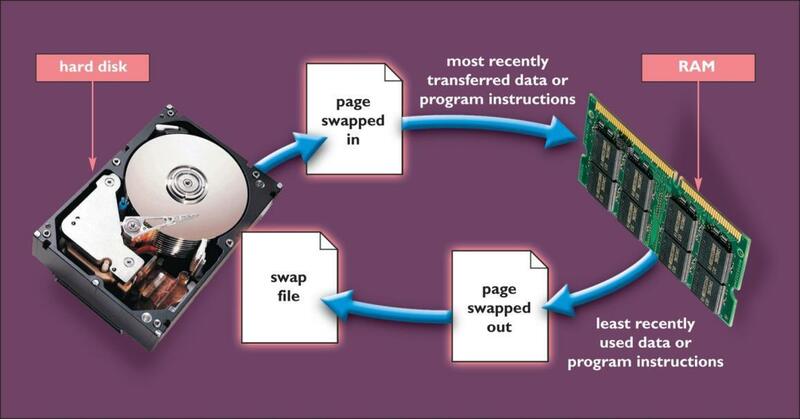 In this scheme, the operating system retrieves data from secondary storage in same-size blocks called pages. Paging is an important part of virtual memory implementations in modern operating systems, using secondary storage to let programs exceed the size of available physical memory. So swap files are temporary files to keep some blocks of memory and if OS needs the blocks will write on memory again. So actually, there is no user data or critical data. What if you have to take backup from your machines and the machines have large swap space?! The answer is very easy! You have to buy more storage space for archiving your backup files. Because swap files increase your backup size! There is some solutions to delete swap files or clear swap space during shutting down OS but what about live system? Can you remove swap file when your OS is live? Actually, there is no way and if you want to take full backup, you have to calculate backup space larger than OS, application and users data. Actually, we are talking about virtual machines in this post, so I want to share good news with you! 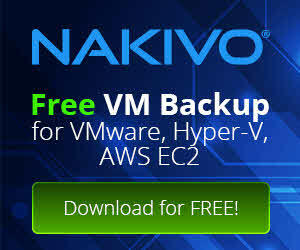 Nakivo Backup & Replication 7 can skip swap files and speedup backup transfer and reduce your backup space. So download beta version from Nakivo website. Join Beta! Get a Gift Card! Create and send a support bundle to support with “v7 Beta Promotion” in the description. Nakivo 7 Beta! Hyper-V Supported Now! 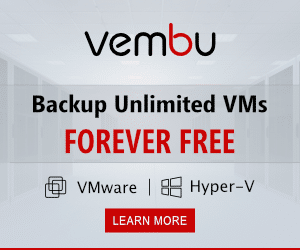 Previous story Nakivo Backup & Replication 7 – vSphere 6.5 Support!